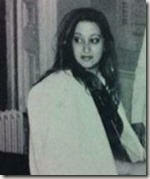 Hadid was born in Baghdad, Iraq, to an upper-class Iraqi family. She attended boarding schools in England and Switzerland, then studied mathematics at the American University of Beirut before attending the London Architectural Association School of Architecture in 1972. There she met Rem Koolhaas, Elia Zenghelis and Bernard Tschumi. 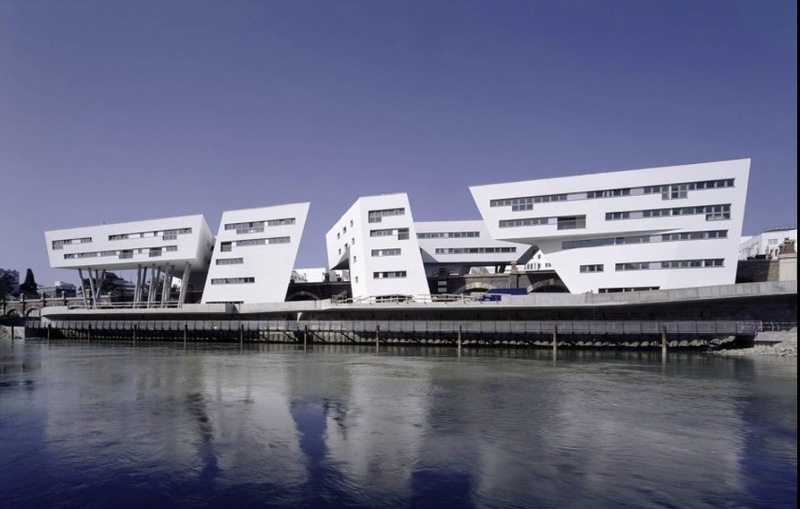 She worked for Koolhaas in Rotterdam, becoming a partner in his firm OMA in 1977. 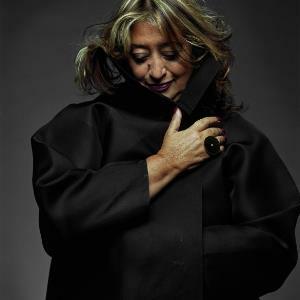 Hadid established her own London architecture practice in 1980. She lectured all over the world. Her acclaimed work included the aquatic center for the London 2012 Olympics, the Broad Art Museum, and the Guangzhou Opera House among many others. Hadid was active outside of architecture, creating interiors, furniture, fashion, even brassware. Like most starchitects, she was demanding and difficult to deal with - and she suffered unfairly more than her male counterparts praised for the same behaviors. Hadid died of a heart attack in a Miami hospital where she was being treated for bronchitis. She was honored by many organizations around the world. In 2004, she was the first Arab woman to receive the Pritzker Architecture Prize. She received the Stirling Prize in 2010 and 2011. In 2012, she was created a Dame Commander of the Order of the British Empire and in 2015 she became the first woman to be awarded the RIBA Gold Medal in her own right. Bio adapted from Wikipedia. 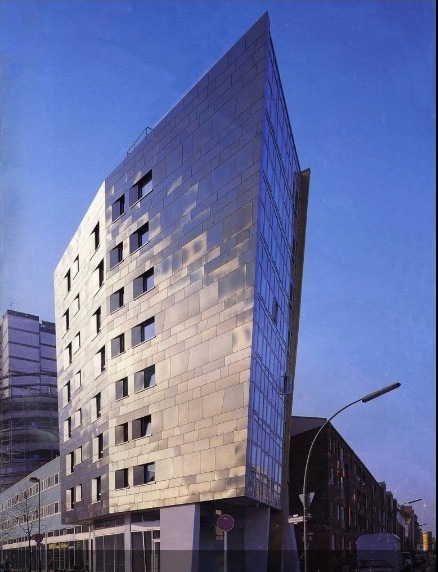 1993 - IBA Housing at Dessauer Street 40, Berlin, Germany. Photo by Christian Ritchers. Commissioned 1986. 2003 - The Daniel Smargon-Audrey Viterbi Family Trust House, aka California Residence, 8490 Whale Watch Way, La Jolla CA. Unbuilt. 12,000 sf. Commissioned 2003. 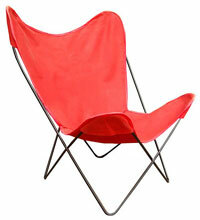 Designed with Patrik Schumacher. The approvals started in 1997 and took years. The San Diego City Council finally approved it in 2012. Later that year, nonprofit La Jolla Shores Tomorrow (LJST) sued to block it on the basis of compliance with various city and environmental ordinances, and the client cancelled the project before it went to court. 2005 - Splittelau Viaducts Housing at Splittelau Lände 10, Vienna, Austria. Photo by Margherita Spiluttini. Commissioned 1994. 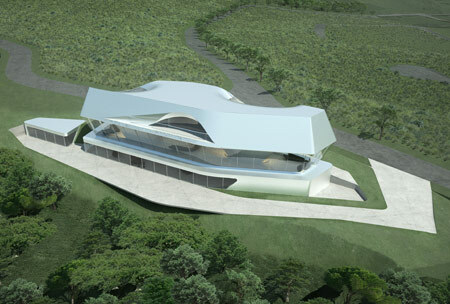 2010 - aka Symbiotic Villa. Unbuilt. A housing prototype designed for the Venice Bienniale. 700 square meters. 2011 - The Vladislav Doronin House, aka Capital Hill Residence, Rublyovka, in the Barvikha area of Moscow, Russia. Rublyovka is the Beverly Hills of Moscow. 28,500 sf. Commissioned 2006. Model Naomi Campbell, who Doronin was dating 2008-2013, participated in the design. Cost, approximately $140M. The swimming pool converts to a dance floor. 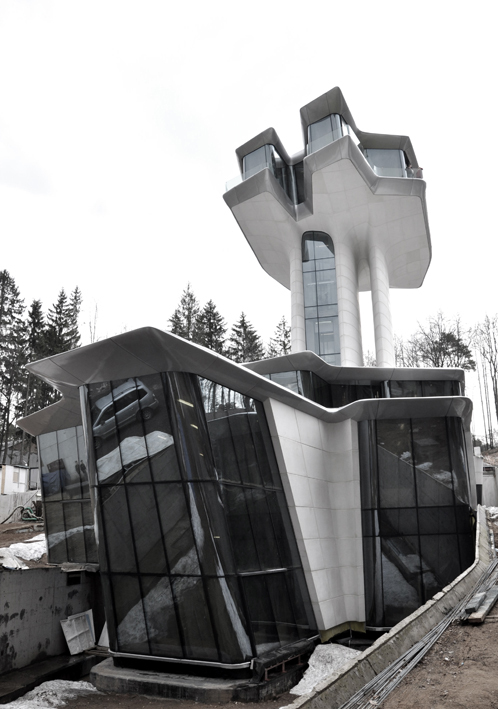 Designed with Hadid's colleague Patrik Schumacher, plus local architect Mar Mimarlik Ltd. 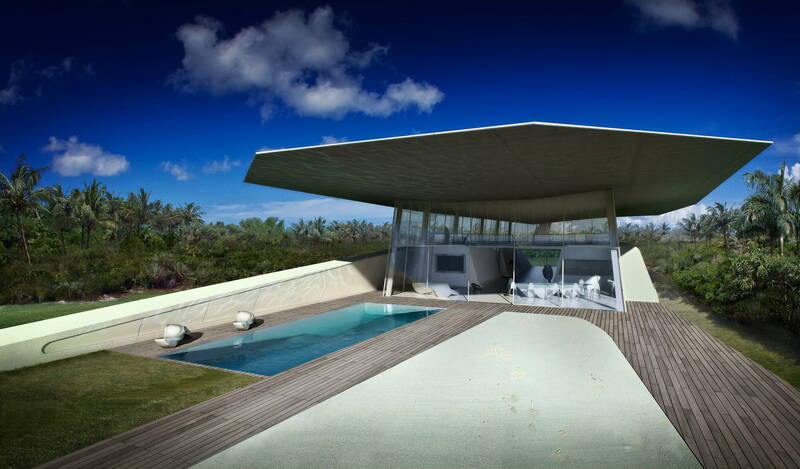 This was Hadid's first completed house, habitable in 2011 but not completely finished until 2018. 2012 - aka Villa D, Dellis Cay, a private island in the Turks & Caicos Islands. Commissioned 2008. Unsure if built. Around 2020 - The Smargon Viterbi Family Trust House, aka Don Smargon and Audrey Viterbi, 8490 Whale Watch Way, La Jolla CA. Commissioned around 2011. 7000 sf. Neighbor protests and lawsuits delayed construction. 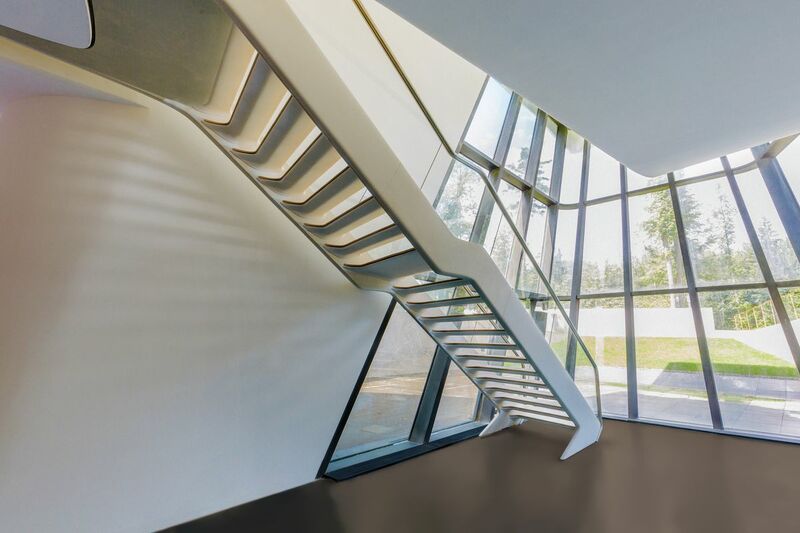 Sources include: Zaha Hadid Architects.